To stay flexible with the needs of our clients, we offer a bulk juicing service. We process the juice in the typical way but the finished product is put into sanitized, food grade IBC tanks and shipped immediately to your location or cold storage facility. Cherries, Peaches, Apricots, Nectarines, Plums, Blueberries, Strawberries, Raspberries, Blackberries, Apples, Pears, Quince, Rhubarb. We can also press vegetables like Carrots, Beets and more. *At this time we do not process grapes or tomatoes. 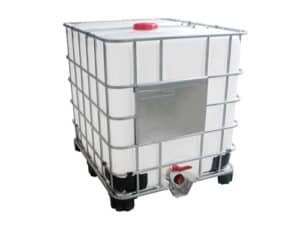 Bulk apple and pear juices are first ground into a mash, then cold pressed and pumped directly into your stainless steel tanks or IBC tanks for transport. Additional services include Enzyme or SO2 addition upon request. We can also flash pasteurize the juice and some shelf stability can be utilized using 1000L Bag-in-Box. Bulk cherry, berry or other stone fruit juices undergo an enzyme treatment to separate the juice from the pulp and then pumped into new tanks. The juice can be raw or with pasteurized to prevent early fermentation. We can also process frozen fruit, but they must be previously washed and thawed properly before processing. Fresh fruits are washed in a bath and rinsed onboard before processing. We work with many growers in the region that have excess or cull fruit so we can likely find what you need for your project. We can also do the work of sourcing containers and shipping so that you can focus on creating new, exciting products! Our priority is to make safe, high quality products; we pay attention to food safety each step of way. From inspection of the incoming fruit to the machine cleanliness and sanitation, we are committed to producing excellent bulk products for further processing. Mobile Juicing provides the bulk juicing service for processors only, with the mutual agreement that the raw product be properly treated to eliminate pathogens and spoilage bacteria.